The upward-spiraling prices of high-end-audio components over the past ten years have exasperated many audiophiles, and understandably so. How many people are actually shopping for $200,000/pair speakers? Just as frustrating, particularly for committed audiophiles who, for a single product, might well spend into the high four or even the low five figures, is just how little, these days, such considerable sums can actually buy. There’s no better example than the power-amplifier department. It’s easy to find five-grand amps made from the commonly available, off-the-shelf ICEpower modules from Bang & Olufsen. Not that these are bad per se, but the same modules are available in products that cost under two grand. What’s up with that? There was a time when $5000 or $6000 would buy a statement-type stereo amplifier -- say, a Krell KSA-250 or a Mark Levinson No.23.5. Today, used samples of those benchmark products, now almost 20 years old, still command prices of almost half of their original list prices. I wonder if, 20 years from now, today’s ICEpower amps will be doing as well. The point is that audiophiles need to consider their purchases more carefully than ever, not only to ensure that they’re getting products they’ll enjoy listening to and that will be reliable for many years to come, but also that they’re getting something that will stand the test of time in terms of resale value. In my book, all three criteria need to be met before a product can be considered for purchase. If you admired any of the behemoth, hot-running, sweet-sounding, solid-state amps of yore -- e.g., those Krells and Levinsons -- but missed out back then, not to worry: For those of you who, like me, have fond memories of the past but who want something fully up to date powering their speakers, there is an oasis in the desert. Remember the old Threshold power amps? Well, Threshold is gone, and while Nelson Pass, founder of Threshold, has been producing amplifiers under his own name for some years now, other former Threshold employees are also designing and manufacturing power amps. 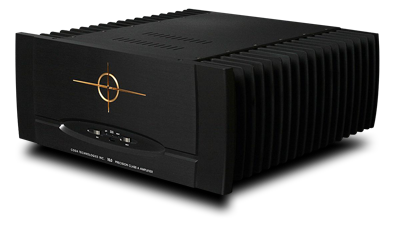 Their company is Coda Technologies, and their amplifiers are completely up to date in terms of parts quality and circuit design, while capturing some of the all-out-assault of the hardware of years gone by. The first thing you need to know about Coda Technologies’ 15.0 ($10,000 USD) -- that it weighs 105 pounds -- should instantly tell you the next two things: It is not an ICEpower-derived amplifier, and it has a mother of a power supply. Both of those characteristics are steps in the right direction. What its 105 pounds might also hint at is that the 15.0 has massive heatsinks to dissipate the heat that’s generated as a byproduct of its tons of class-A power. Now this is really getting interesting. 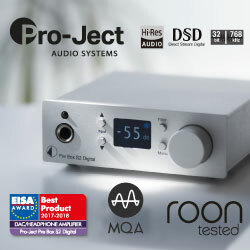 Yes, the Coda 15.0 runs in class-A up to a prodigious 100Wpc -- enough power that you’ll almost certainly never leave class-A for most of your listening at just about any volume level, with almost any speakers of reasonable sensitivity. The 15.0 switches to class-AB at 100W for a full output power rating of 150Wpc into 8 ohms and 300Wpc into 4 ohms. That power capability is supported by a 3000VA power transformer -- that’s friggin’ huge -- and 184,000µF of filter capacitance. There are 30 On-Semi bipolar output devices per channel, for a grand total of 60. The circuit boards hark back to Threshold days -- built with distinctive gold plating over a tin-nickel barrier, they look wonderful and should last forever. The chassis is made of brushed and anodized aluminum panels bolted together into a solid chunk of an amplifier that measures 17.5"W x 7.75"H x 19"D. The minimal internal wiring is 141-strand silver-plated copper, insulated with silicon. The circuit design utilizes a fully discrete FET input stage along with a "vertical MOSFET" voltage-gain stage, and, of course, the massive bipolar output stage. The 15.0 is DC coupled and uses minimal feedback. There are two sets of five-way binding posts for biwiring, an IEC inlet for the power connection, and next to that the main power switch. The front panel’s Bias button switches the 15.0 from standby to on, and the Input button toggles between the RCA and the fully balanced XLR inputs. The heatsinks are nicely contoured on the edges -- you won’t cut your fingers -- and handles on the rear panel help you carry the thing around. The 15.0 sits on six feet fitted with a blue, rubbery damping material on the bottom. The build quality is very nice, overall. There’s no audio jewelry here, just solid construction that should last a couple decades, at least. The Coda 15.0 had many strengths that shone through clearly in my first listening sessions. The sound was never less than striking in both overall clarity and truthfulness of tone. Voices, such as Astrud Gilberto’s in "The Girl from Ipanema," from Getz/Gilberto (24/96 AIFF, Verve/HDtracks), were prime examples. I could hear Gilberto’s breaths between words more clearly than almost ever before. This aspect of the sound gave her physical form an in-the-room presence that I’ve not heard from many lesser amplifiers I’ve listened to. But the beautiful tone of her voice was also fully and evenly revealed. In short, the 15.0’s extreme resolution didn’t wash out Gilberto’s voice at all, but instead revealed all the little inflections without ever losing the gestalt: Voices sounded beautiful and complete. SoundStage! Network reviewer Randall Smith described the Coda’s sound as having a "golden tone," and I think that partly describes it (see Randall's comments below). I could hear deeply into all my recordings with the Coda, but the sound never lost that tonal completeness that makes well-recorded music beautiful and enjoyable. Is that loss the sort of trade-off that those who prefer tube-based systems are willing to settle for? It struck me that the tonal accuracy of tubes is a huge draw to their use, even if they don’t always exhibit the quiet backgrounds and precision of well-designed solid-state electronics. Well, the Coda got both right. Was that aspect of its sound due to its class-A biasing? I can’t say for sure, but that beautiful tone color, crystalline clarity, and high resolution made itself known again and again, on tracks such as "Spanish Harlem," from Rebecca Pidgeon’s Retrospective (24/96 AIFF, Chesky/HDtracks): not only was the singer’s presence enhanced, her voice wasn’t overly smoothed where it sounded obvious that she was recorded. In fact, the Coda made Pidgeon’s voice sound less perfect and more beautiful at the same time. I think this apparent dichotomy was produced by the 15.0’s truthfulness of timbre running neck and neck with its ability to dig deep into recordings to reveal all the information in them. The two qualities were intrinsically connected. To use that audio-reviewer cliché, more of the artists’ intents were revealed when I listened through the Coda. Specifically, I think this is so because more of what was on the recording was making its way through the electronics and to my ears. The Coda was expert at retrieving information without, in the process, losing any of the soul of the recording. One place where the Coda reigned supreme was in transient attack. Leading edges of notes were lightning-fast, displaying articulation that drew me into recordings that I normally admire from afar. "Low," from Jonas Hellborg’s The Silent Life (CD, Day Eight Music 26), made me rip the air bass like a rock-star wannabe. The riff that Hellborg plays starting about 90 seconds into the track soared with intensity, focus, and slamming attack. When he begins playing with even more gravitas at about the two-minute mark, the Coda was able to properly reproduce this increase in scale and volume with both precision and drama. The bass articulation I was hearing was beyond what words like plucky and crisp would describe. It was some of the most textured, fast, revealing bass I’ve ever heard. It was also deep and powerful, with very wide dynamic range. "North Dakota," from Lyle Lovett’s Live in Texas (CD, MCA MCAD-11964), has lately been one of my go-to tracks for a number of reasons. The bongos at the beginning have real physical impact, and you can hear nuanced tonal shadings when they’re struck; Lovett’s voice is very present, and infused with real emotion; the guitar sounds natural, and is well delineated in space; and the drums, which enter a little past the two-minute mark, are deep and room-enveloping. I heard this track reproduced in revelatory fashion by some of the best systems at the 2011 Consumer Electronics Show; other systems absolutely butchered it. Through my Music Vault system with the Coda 15.0, this track reached very high indeed. The players, especially when Rickie Lee Jones comes in, remained separated in space, each sound a singular event in a greater performance instead of being part of a wash of confusing, competing sound sources. The drums sounded perfectly tight but with fully developed decay, as did the bongos, with both fundamentals and harmonics reproduced in perfect balance and with abundant power transfer to the speakers. The sound of the crowd’s applause at the end was even a notch more revealing than usual: the size of the audience was clear, and the hand claps were distinct, each focused in space as if made by actual people surrounding me. The overall sound of the Coda was complete. There was no question that the 15.0 could pass along all the detail present in my recordings, and this was especially noticeable with recordings made at resolutions greater than 16-bit/44.1kHz. But it could also handle macrodynamics as easily as some of the huge brutes I’ve heard. I played Audioslave and Alice in Chains at peaks of 100dB, and the Coda showed no signs of strain or sonic distress. And mind you, this was with a pair of B&W 803 Diamonds, which aren’t the most easy-to-drive speakers in the world. The 803s benefit from a healthy dose of power, and the Coda was able to oblige at any volume level. In fact, in some of my near-out-of-control rock listening sessions, I sensed that I was out of headroom with the speakers more than with the amplifier. The 15.0’s 150Wpc rating is real power -- those watts are backed up by a huge power supply and plenty of output devices, so it was easy to hear the huge heart this amp has. The gusto with which the 15.0 played manifested itself over and over in my listening. It displayed plenty of grunt with power music such as the rock mentioned above, but was never brutish in demeanor with more nuanced music. While I’m sure there are speakers that would tax it -- MBLs, perhaps? 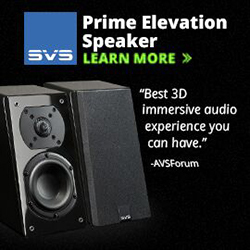 -- they wouldn’t be speakers that audiophiles would encounter all too often. If your speakers are 4-ohm designs, then you can draw a full 300Wpc from the 15.0 -- and that’s a lot of watts. My point is that the Coda proved very powerful in use, without sacrificing a bit of inner detail or subtlety to deliver that abundance of power. The Coda Technologies 15.0 is one heckuva piece of US-made hardware. I would confidently put the 15.0 in any system at any price and feel certain that it would hold its own. It’s that good. It has plenty of brute-force drive, as well as that golden tone that only class-A amps seem to deliver. It is ultra-resolving of fine detail, yet can handle huge dynamic swings without breaking a sweat. And it’s evenhanded across the audioband, but can also sound magical in specific areas, based on the recording. 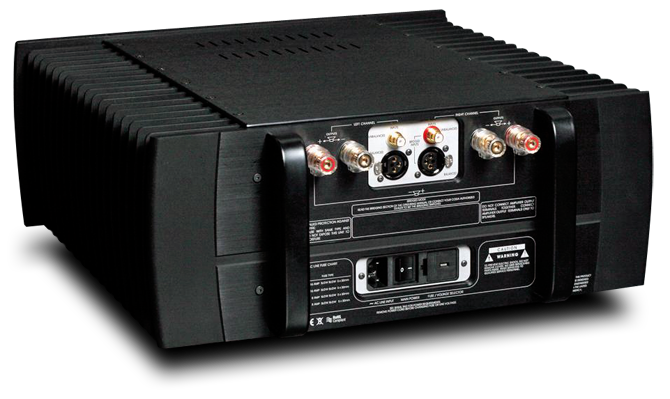 The 15.0 is made by a company that knows amplifier design as well as any. It’s not Coda Technologies’ first product -- you won’t be a guinea pig for a new company testing its first product in the field. In fact, the 15.0 will likely end up being a classic, like the Krell KSA-250 or the Mark Levinson No.23.5. I have no caveats. The Coda 15.0 is a great amp. Period. Editor-in-Chief Jeff Fritz and I regularly speak by phone about audio and music, and the Coda Technologies 15.0 power amplifier has been the subject of several of our recent morning chats. Jeff, a veteran reviewer, rarely gets overexcited about a product. However, he went on and on about how great the Coda was, and said I simply had to come over and listen to it in his system. After a week of that, I made the hour’s drive north to hear the Coda 15.0 driving Jeff’s B&W 803 Diamonds. Before we began listening, Jeff removed the Coda’s top plate to show me the impressive construction quality and technology inside -- something he’s done many times before, especially when he’s had Boulder electronics on hand. The Coda was as impressively built as almost anything I’ve seen. Then we sat down to listen. Jeff and I use many of the same reference recordings, which makes hearing differences between audio components in each other’s system much easier. Jeff felt the Coda particularly improved the sound of his system’s midbass. Kick drums and other percussion instruments sounded quicker, with more detail and impact. I thought it provided a deeper, more vivid presentation of ambient space. I really loved what I heard, but sometimes hearing Jeff’s system changes the way I feel about my own rig. I was willing to give the Coda its due, but deep down, I felt that it was the quality of Jeff’s room that was perhaps the biggest contributor to the differences I was hearing. So I went home to improve my room. By making several changes to my room acoustics, I was able to give my audio system a greater opportunity to do its thing. Unfortunately, this still wasn’t enough to bring my system up to the level of what I’d heard at Jeff’s that night. The next day, when I told Jeff this, his reply was simple: "I told you -- it was the amp." He offered to let me borrow the Coda 15.0, and I took him up on the offer. I installed the Coda in my system and was immediately transported back to that night in Jeff’s room. My system’s speed and detail were now the best they had ever sounded. The Coda 10.5 exerted great control over all frequencies at low and high output levels. Music that had once been very volume-sensitive now sounded great at any volume. The highs were more focused, the lows more defined. There was more ambient information than before. The soundstage was bigger and deeper, particularly with live recordings, and imaging was even sharper. The positions of instruments on the soundstage were more precisely delineated, and the textures and timbres of their sounds were more accurately reproduced than by the Krell S300iL integrated amp I’d been using. Overall, the sound was very natural, and uncolored by the Coda 15.0 in any way I could hear. I share Jeff’s opinion of the Coda Technologies 15.0. It made a significant improvement in the sound of my audio system. I’ll hate driving it back to Jeff’s house.